Riding an elephant has long topped the bucket-list of travellers to Thailand, but recently the tourism industry has realised the cruel, back-breaking nature of these rides and is opting instead for responsible elephant experiences that actually benefit Asia’s gentle giants. In the west, straddling the River Kwai and cosying up to the Myanmar border, you’ll find Kanchanaburi province. Most known for its association with the famous Bridge on the River Kwai, visitors now travel west to spend time at ElephantsWorld. At this sanctuary for rescued, orphaned and handicapped elephants, the motto reads ‘We work for the elephants, not the elephants for us’. Spend the day feeding fruit to the rag-tag herd, cooking sticky rice meals for the older toothless members, washing and bathing with the elephants in the river, and taking them for walks around the surrounding fields. For a similar experience but while staying in Thailand’s first luxury tented camp, head south for Elephant Hills. This rainforest-fringed outpost is home to 11 free-roaming Asian elephants that, if willing, will let you bath and feed them. The warm seas of Southeast Asia boast a world-class diving reputation thanks to gentle currents, great visibility and an array of coral reefs that bloom year-round; imagine fish and coral of every shape, size and colour. 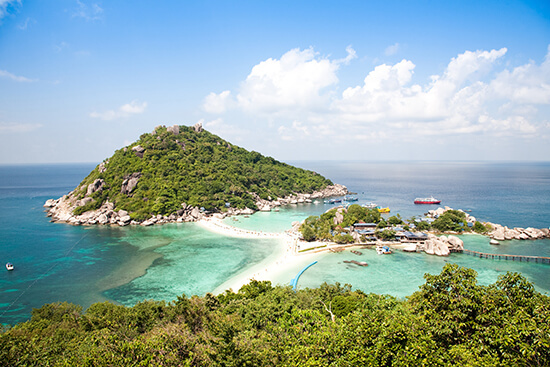 Though many of Thailand’s coastal regions enjoy good diving spots, many of the best can be found surrounding the tiny island of Koh Tao, in the Gulf of Thailand. Dive schools pepper the untouched isle and with good reason: the surrounding ring of reefs range from 10-30m in depth – perfect for all levels of scuba diving – and are often visited by curious reef shark. Many of the dive schools also monitor fish, turtle and shark populations and participate in beach and reef clean-ups, removing litter and old fishing lines that could damage the underwater environment and its inhabitants. Koh Phra Thong Island on the cusp of the Andaman Sea has long attracted female sea turtles in search of a place to lay their eggs on its sandy beaches. For over 20 years the Sea Turtle Project has worked to protect the nests from heavy-footed visitors or egg-collecting predators. The research team monitors changes in the turtle population, from leatherback and green to olive ridley turtles, both on the beaches and at sea. 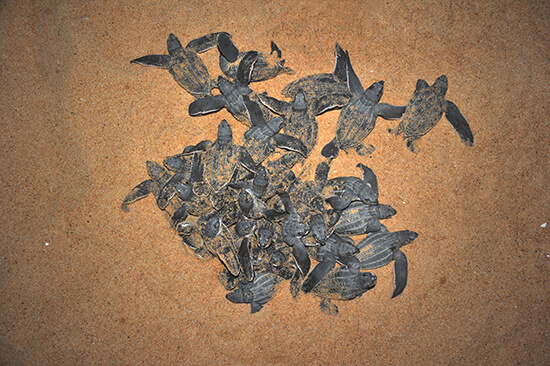 The project welcomes visitors, and volunteers can opt to spend a number of weeks working with the local community to protect their environment and turtle species, watching turtles nest or hatch (season depending) and participating in environment education schemes in nearby schools. 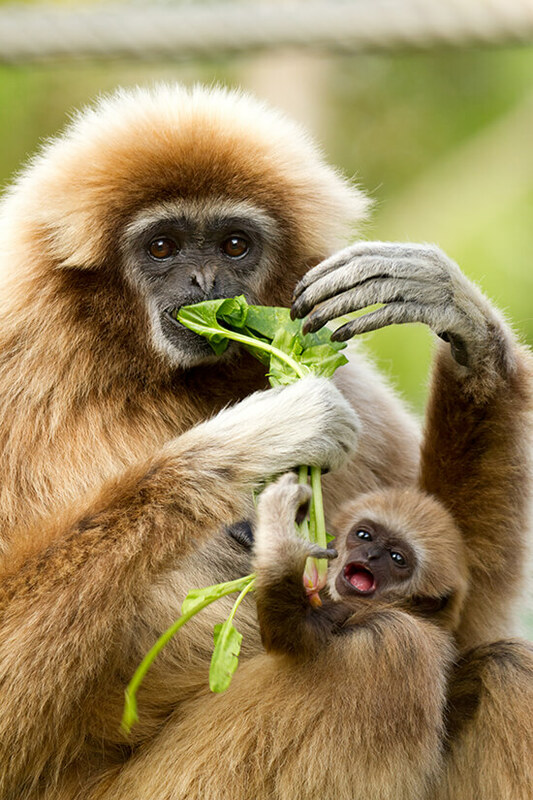 Much like Thailand's Asian elephants, gibbons have a history of featuring heavily in tourist entertainment industries across Thailand, and are increasingly threatened by habitat loss or poaching. That’s where the Gibbon Rehabilitation Project comes in, rescuing and rehabilitating white-handed gibbons into their natural forest habitat of Phuket’s National Park and non-hunting area. The project is run entirely by donations and volunteers who can spend their time working on the ‘quarantine’, ‘rehabilitation’ or ‘reintroduction into the wild’ stages of the programme. The centre is also open daily for visitors, featuring a public viewing platform from which to watch the gibbons play amongst the trees. Speak to one of our Travel Experts about tagging on an ethical wildlife experience to one of our tailor-made Thailand holidays.